Plant stevia and harvest your own natural, calorie-free sweetener. Have you used stevia as a sweetener? Did you know you can grow your own? This tender perennial, used fresh or dried, is natural, calorie-free and especially good in drinks and yogurt or on fruit. 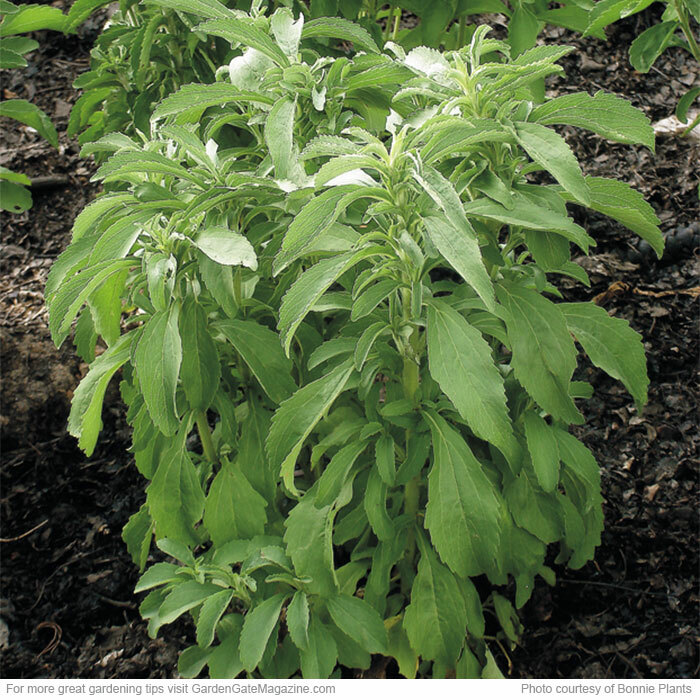 Start stevia (Stevia rebaudiana) with seed-grown or rooted cuttings from stems. Add a plant, which grows 18 to 36 in. tall and 12 to 24 in. wide, to the herb garden, a sunny border or grow it in a 12-in. pot. It’s cold-hardy in USDA zones 9 to 11, where it grows into a small shrub, but it’s not as vigorous after the second year, so you’ll want to replant. For the sweetest leaves, harvest before tiny white blooms set in late summer and in cool autumn temps. Enjoy fresh-cut flowers all summer! Check out 3 beautiful blooms that don’t just look great in the garden, and find out how to cut the best flowers for bouquets. These shade-loving plants will transform a low-light border.